This month has really inspired me to do a lot of reviews since I've been replenishing most of the stuff I'm running out of including cosmetics and skincare products. 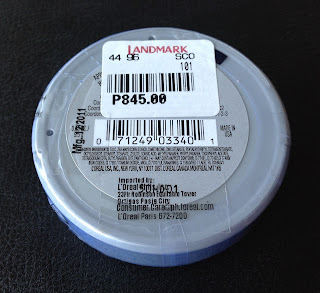 I have been very good at avoiding my impulsive tendencies when it comes to shopping in the past months so when I ran out of my favorite finishing powder (Physicians Formula perfecting mineral concentrate), I couldn't wait to scan the counters at Landmark and get myself a replacement. 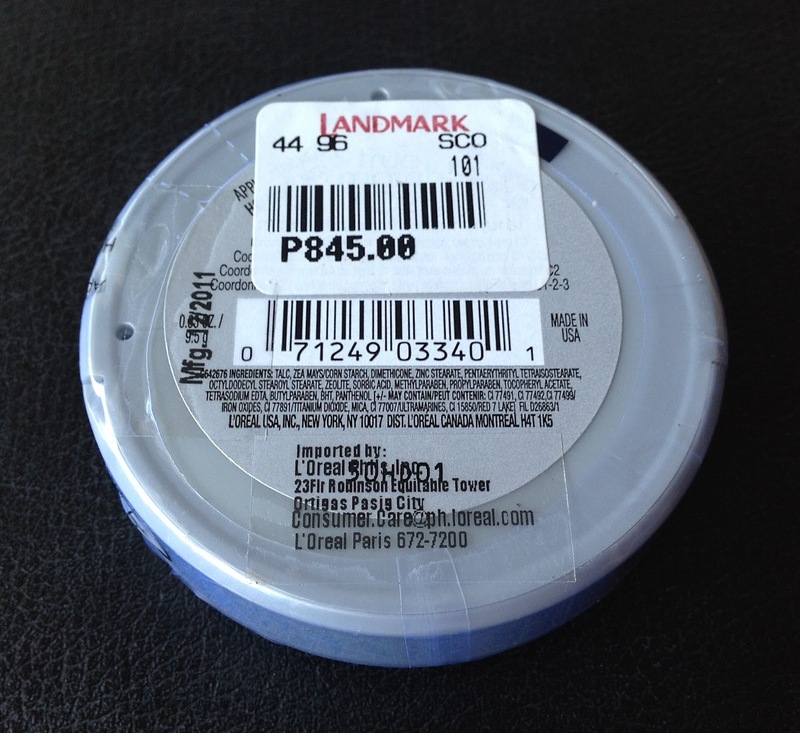 Before my mall visit, I did a little internet browsing to look for different brands of finishing powder. I was considering Tony Moly, The Face Shop, Neutrogena, Cover Girl and L'oreal. 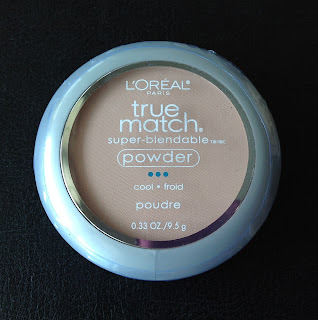 In the end, I got this..
L'oreal true match super-blendable powder in natural ivory. It comes in a 9.5g powder compact with a sponge applicator and mirror at the bottom. I guess the idea is to keep the sponge away from the powder but I really find it hard to use the built-in mirror. You will find this a bit awkward to use unless you get all the powder you need on the sponge (which is impossible) to keep from flipping the compact constantly to get more. When I asked the sales rep if I could swatch this on my chin, she gave me a triangular sponge applicator which I think is better than the round one included with the compact. The triangular sponge easily reaches all corners especially around the eyes. Feels soft and glides smoothly on your skin too. I asked the sales rep if they sell triangular sponges and she generously gave me what I used to swatch the powder and an extra sponge. The powder has a very fine and smooth texture. It blends easily on application and instantly evens out your complexion. This blots away the shine especially on your T-zone and gives a matte finish without any shimmer. You can wear this light for oil control or add more to build up the coverage. It has a faint almost unnoticeable scent and it comes in various shades to cater to different skin tones. Overall I find this product very impressive that I highly recommend it to everyone who wishes to have a powder that truly delivers. Though it's quite pricey for a drug store brand, I will definitely buy again in the future.